The reel seat. It is the most recognizable component that stands out on a fly rod. To some custom builders, rod makers and fly fishers, choosing the proper reel seat is an important decision that takes reflection and more thought and consideration than just settling for the cheap and easy. It is important because by the very nature of their craft custom rod makers and builders know the design and execution of their custom fly rod is a reflection on them and their level of craftsmanship, artisitic skill and their ability to meet the needs of the fly fishers who place value on something more than what they see or feel with the mass produced. We are makers of traditional nickel silver and anodized aluminum reel seat hardware and the finest in top-quality wood spacers. Our hardware designs are driven by tradition and are precisely made and well executed. They are well suited for the purpose and are not cheap in quality or mass produced. The custom builder will enjoy working with our reelseats. The fit and finish make them easy to assemble and they are consistently well made. Our standard bore is .375" but we can easily accomodate larger bore requests for large diameter fiberglass and graphite blanks. Please make note in the comments section when placing your order. 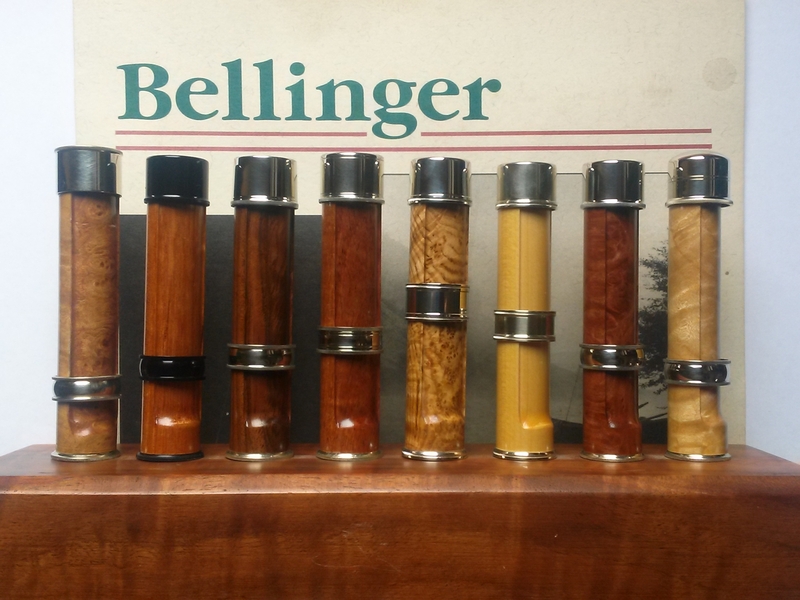 Our varnished woods and stabilized burl spacers are truly unique, singularly selected and finely finished. We take what occurs randomly in nature and through our own skill and experience draw it out and turn it into something that reflects those attributes which are most important to the custom builder or maker. Please scroll through what we have put on display here. Please contact us should you have any questions about our reel seats. Check out our Varnished and Stabilized Wood page for close up images of our woods.